Personal Spiritual Retreats are 4 to 7 day, custom designed, highly personalized retreats for individuals and couples using master practitioners – healers, spiritual guides, energy workers, intuitives and body workers – in a series of powerful one-on-one sessions that clients most commonly describe as life-changing and transformational. First introduced in Sedona, Arizona in the USA in 2002, now Bali Soul Adventures is expanding the concept of Personal Spiritual Retreats into another planetary power spot and spiritual travel destination – the island of Bali. The island’s gentle, welcoming atmosphere and the deeply spiritual traditions of its people provide the ideal conditions to unwind, let go and open up to the voice within. Healing water temples, sacred ceremonies, natural beauty, open-air architecture and fresh, nourishing food are the outer supports for your inner soul journey. Our retreats are unique because we work directly with each individual to create a highly personalized experience. Whatever your needs, the principals and staff of Bali Soul Adventures are well suited to create the retreat that is a match to your unique situation. 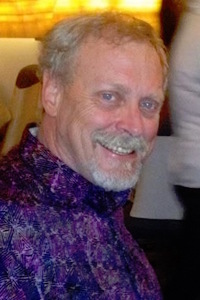 Tom is a business owner, healer, teacher of spirituality and world traveler. He is committed to assisting others achieve their dreams and aspirations by helping them open their hearts and minds to the greater possibilities of their lives. He believes that we are at an inflection point in the evolution of human consciousness and that we can all contribute to that evolvement by dedicating ourselves to our own personal and spiritual growth. In 2002 he co-founded a very successful retreat services company in Sedona, Arizona pioneering the concept of Personal Spiritual Retreats. As part of his work there and in addition to orchestrating thousands of transformatal spiritual retreats, Tom helped lead scores of spiritual seekers and adventurers on trips to the pyramids, temples and tombs of Egypt as well as to Machu Picchu, Lake Titicaca and the Sacred Valley in Peru. Under the name Bali Sacred Spirit, Tom has lead group tours to the Island of the Gods every year since 2007. Tom was profoundly inspired by the amazing beauty of Bali, the warmth and kindness of its gentle people and the depth and subtlety of its culture and devotional spirituality. 2011 opened a new chapter in his life when he moved to Ubud, Bali’s spiritual and cultural capitol. There he founded Bali Soul Adventures and working with both Balinese and western healers, continues to provide Personal Spiritual Retreats and Bali Sacred Spirit group tours. Tom thoroughly enjoys sharing his love for Bali and his experiences there. If you have an interest in Bali, he encourages you to contact him at Tom@BaliSoulAdventures.com to arrange a time for a video or voice chat on FaceTime, Viber or Skype. Cok Ratih (pronounced choe rahtee) was born into the royal family of one of the former kingdoms of Bali and although the political power of the kingdoms ended after the Indonesian war for independence, Ratih is still recognized as a princess both socially and culturally. A deeply spiritual person and an accomplished dancer, Ratih has performed traditional Balinese dance around the world and has won many awards. 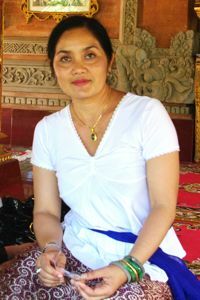 Ratih is a respected cultural ambassador, and under her direction, visitors are invited into the inner sanctums of temples usually off limits to westerners and guided into deeper connection with authentic Balinese traditions, including participation in Balinese sacred ritual and ceremony. Ratih shares her personal life experiences openly, giving visitors an insider’s look at the Balinese world view. For most Soul Adventurers, getting to know Ratih is one the highlights of the journey.